You can’t help but notice that we love holidaying in the UK. It’s not because either of us has a fear of flying or we don’t get on with foreign food – quite the opposite in fact. But when you can experience beautiful scenery like this within a few hours of home why not take advantage of it? It was August 2012, when the country was swept up in the excitement of the London Olympics and I was cradling a tiny bump that was to become Tin Box Tot. 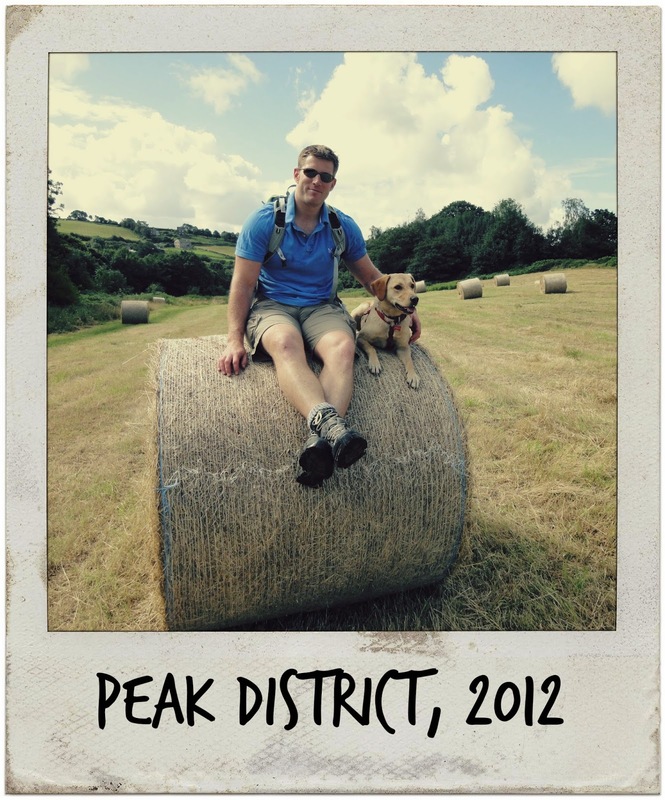 We were spending five nights in the Peak District in Derbyshire on our way up north for a wedding. This was in the days before Tin Box so our accommodation was a sweet little holiday cottage near Whatstandwell. It was a modern barn conversion with a tiny kitchen/sitting/dining room and a narrow staircase leading to the bedroom upstairs. As there was just myself, Mr Tin Box and Tin Box Dog we didn’t need anything more. The weather was a bit changeable during our stay but we managed to get out for a few walks and to visit the beautiful Peak District towns of Bakewell and Matlock. Our stay coincided with the Bakewell Show, which is a great family day out with plenty of local arts, crafts and produce as well as agricultural exhibitions and competitions. We lunched on some amazing local sausages and TBD came away with a bag of yummy homemade salmon treats. The Heights of Abraham was just down the road as well but we didn’t manage to fit in a visit. It’s definitely somewhere I’d like to go to with the kids next time we’re in the area. There’s a cable car, cavern tours and some great looking adventure playgrounds. I love this picture of Mr TB and TBD. We had decided to take a walk across country from our cottage. TBD was in her element, finding lots of interesting sniffs and enjoying some ‘off the lead’ time. She was about 15-months-old, so still full of endless puppy power. We were keen to wear this down as much as we could as it was the first time we’d stayed in a holiday cottage with her. She was mostly out of her chewing phase but we didn’t want to risk a relapse! Mr TB jumped up on one of the harvested bales and an intrigued TBD followed him up. I kept my feet firmly on the ground and did the camera work, thankful for a quick breather. At three months pregnant with my first I was probably being a bit more protective than I needed to be but I’m clumsy and would have ended up in a heap on the floor. 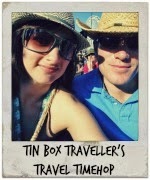 First of all, massive congratulations to you all on the safe arrival of baby girl tinbox traveller number two!